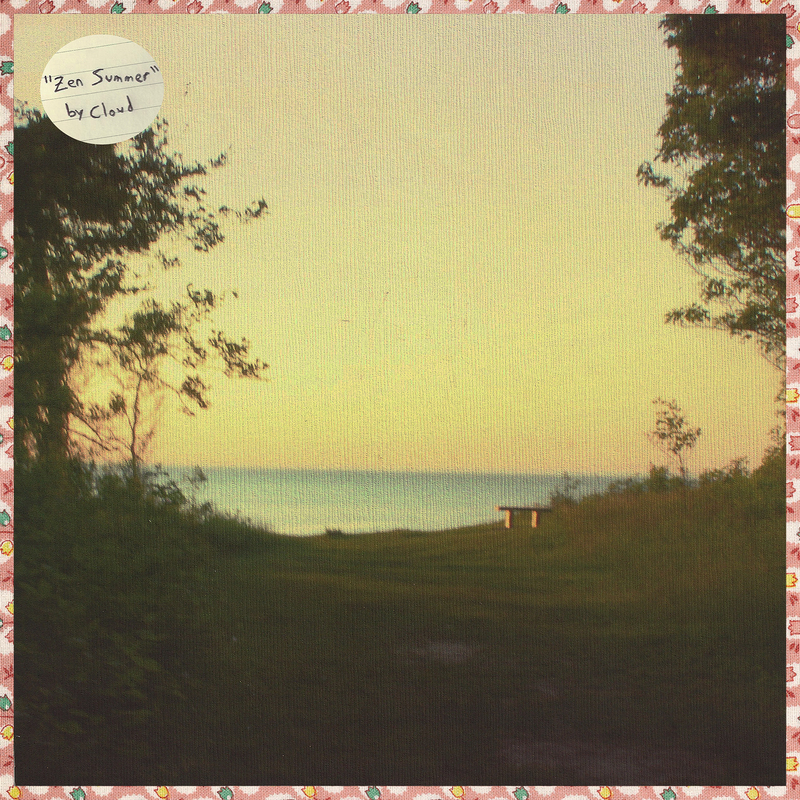 If Tyler Taormina’s last album Comfort Songs was a nod in the direction of The Beach Boys during their sobering pinning Surf’s Up period, than his diaphanous follow up Zen Summer is a meditative, transient stab at the Ashram years. Reviewing his debut anxiety strewn Comfort Songs suite for God Is In The TV, back in the summer of 2013, I called it a “surf noir” collection of “communal psychedelic” laments – pitched somewhere between Noah Lennox’s Panda Bear and The Terror Pigeon Dance Revolt. A self-confessed shoulder to lean on for those tormented by heartbreak and sadness, that debut was nevertheless seeking out hope: a break in the “clouds”. Suffering from his own personal anxiety and tribulations in light of that album’s release, Tyler has since moved out west to L.A. and broken the “dark spell” he was under. Though he has kept those old connections, once again recording with his Long Island Practice Room collaborative group in New York, Tyler has since signed to a relative new start-up, the Irish label Paper Trail Records. With a Zen like optimism his summer requiem improves on the richly textured efflux of buzzing static, reverb soaked slackened (but anguished and mature) vocals and majestic Pacific Ocean breezy atmospherics with even more shimmering dappled reflections on the coral seabed candescence and beautiful shimmering tunes. These highly sophisticated and “organically” rich improvements are filtered once again through Californi-a’s most celebrated sons The Beach Boys as well as Panda Bear and Galaxie 500. Suffused with an undercurrent of busy, rotating and tidal sounds each song features a lilting and beautifully palatial melody. A melting feeling of psychedelic yumminess, transcribed through a tunnel of love boat trip on the South Seas, the standout track from the album is without a doubt is the angelical caressed harp and Mike Love transcendental lamenting sung Melting Cassatt. This halcyon daydream reflects both lyrically and musically the state of its author who is looking for reassurance and a calming presence in a metaphorical sea of anxious flux; this is alluded to by the track that follows it, Elemental Smile. Changing the flow and plunging into no less opulently administered lush backing, only deeper and more lolloping, Tyler surfaces from a churning headiness to breath. Notable highlights can be found everywhere throughout this near faultless collection of concatenate songs – and one vaporising photographic memories instrumental title track vignette. But the opening, Fly Into The Mystery, shows us what The Beach Boys working with Neu! might have sounded like; the motorik driving drums and Rother style nuanced guitar tweaks laying down a cosmic kaleidoscopic sunbeam for the surf pop vocal trepidations, Tyler reliving his concerns and arrival in L.A. And the parting shot, Rainbow Road is an upbeat LCD Soundsytem meets Merriweather Post Pavilion era Animal Collective, complete with a warm female harmonious chorus, triumph. It ends a most stunning, hazy and opulently languid album on a high; easily a contender in the end of year “choice” albums list, with Melting Cassatt one of 2015’s best singles. This year’s “dreamboat”.